Props are abound this week in Week 10 with road favorites and bad defenses everywhere. Rob Trayah takes a look at matchups worth exposing in your prop bets. 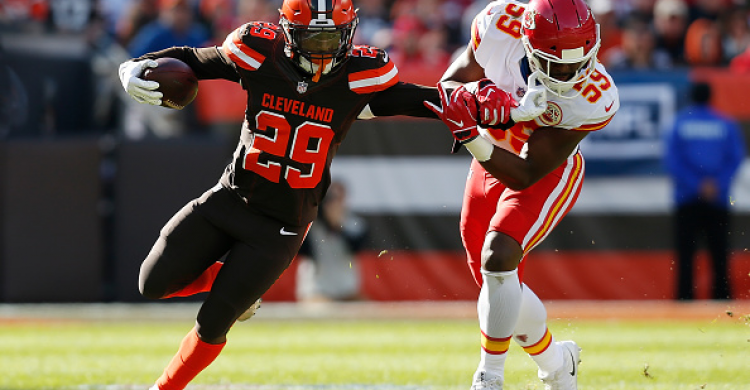 Throw in the facts from Ryan Summerlin (https://twitter.com/RMSummerlin/status/1059466544277868544) : "Baker Mayfield is now 26-of-30 for 266 yards and two touchdowns when targeting Duke Johnson this season." As soon as the Browns get behind, expect Johnson to be involved heavily. Take the over. Mitch Tribusky Over 215 Passing Yards: Tribusky has started to come into his own and gets a full slate of receivers this week with Allen Robinson back. The Lions are down another corner back in Darius Slay and will have some tough sledding in stopping the Bears through the air. The Lions give up a high-rate of completions and the talent the Bears have at WR as well as TE with Trey Burton means the Lions have to be good in tackling. With their talent lacking in the secondary, 215 seems low.